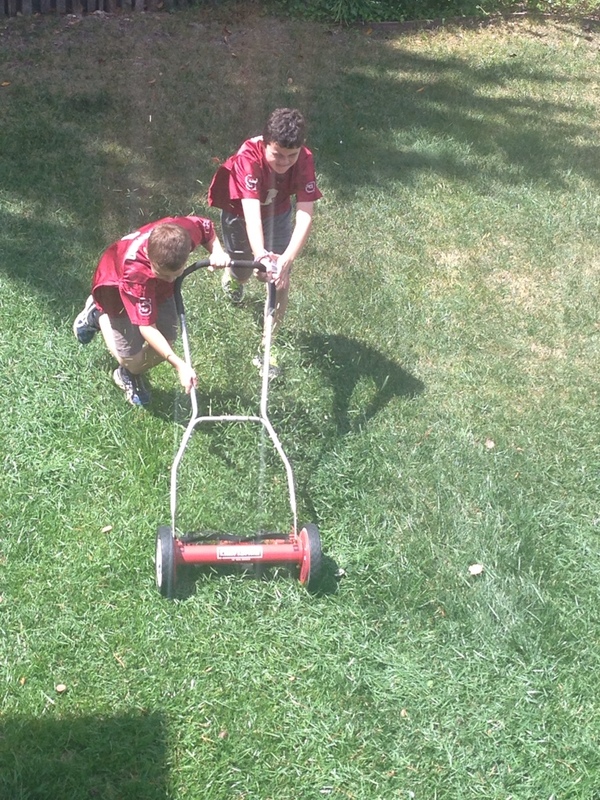 Mowing the grass with a hand-push lawn mower is fun and hard work when the grass is thick, and presents a challenge. The kids kept trying on their own and the mower would get stuck. 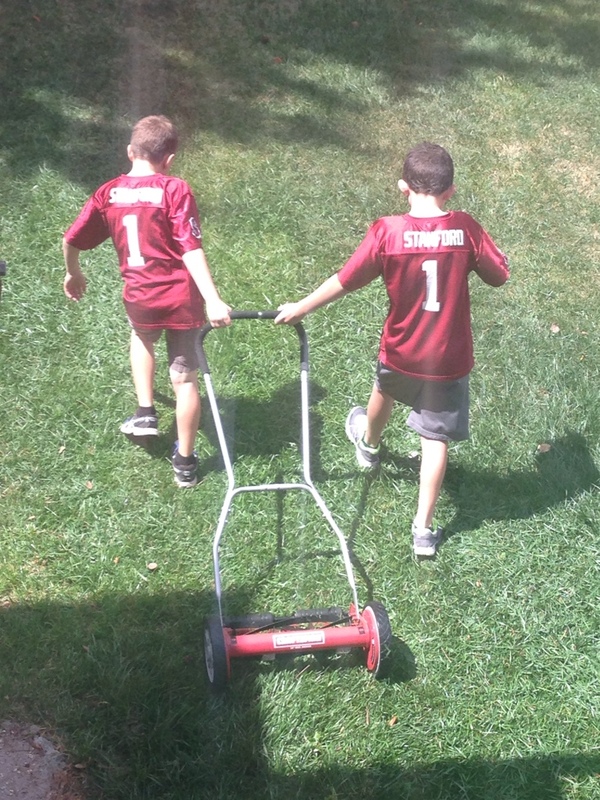 Then they decided to try pushing together after getting a running start and they were able to scoot all the way across the lawn, with double the momentum, and a couple laughs. It’s much easier and more fun when you have a friend to help you do the work together, especially when you’re dressed alike. Haha, this is such a great visual!! What fun memories! Thanks! They were so cute together.